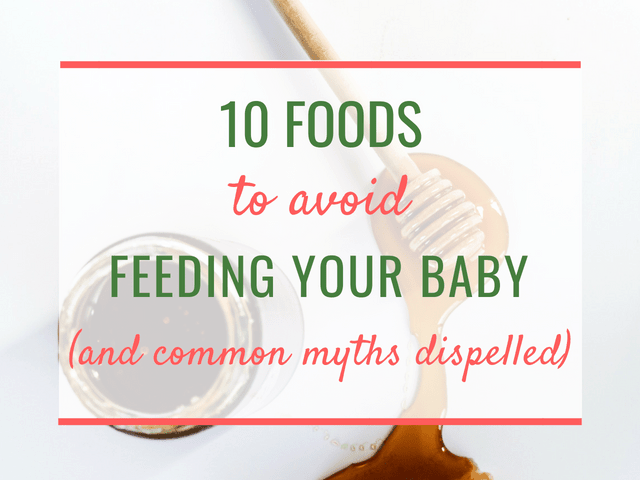 I was not going to write a post on foods to avoid in the first year with your baby. I thought there was so much information on the internet already, I did not need to repeat what everyone else was saying. But after several parents in a row reached out to me asking to clarify the confusing and contradicting information they found online, I decided to step in. In this post, I will first dispell some of the popular myths floating online. 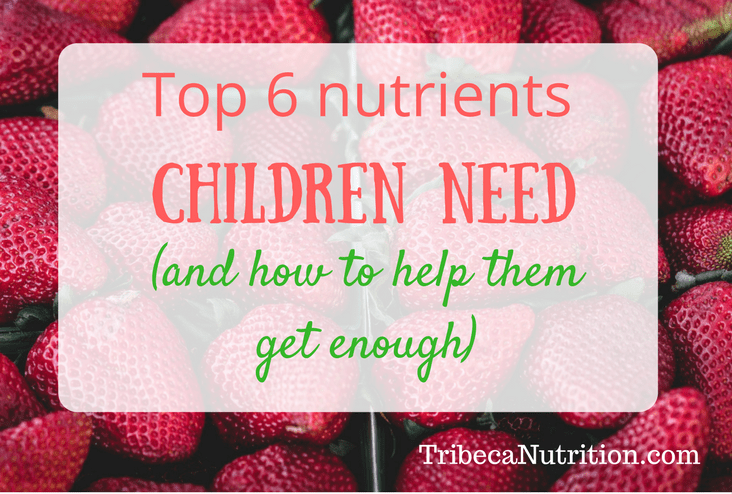 And then share a list of foods that are important to avoid in the first year and explain the reasons for it. Eggs whites are not safe for babies. Not true. Only a very small percentage of babies are allergic to egg whites. If you think your baby is, definitely check with your doctor and avoid egg whites if needed. All the other babies can eat eggs, including egg whites, from the moment the solids are started. In fact, introducing potentially allergenic foods earlier rather than later may help prevent food allergies in the future. That’s why the American Academy of Allergy, Asthma, and Immunology now recommends to not delay the introduction of eggs, dairy, fish, shellfish, nuts, tree nuts, soy, and wheat. Your baby cannot have nuts before he turns 3. Not true. Your baby can have nuts, just not in the whole form. Whole nuts are a choking hazard and should be avoided until 3-5 years, depending on your child’s ability to chew. But it is perfectly fine and, in fact, recommended by allergy experts, to introduce nuts to babies in the form of nut butters and powders. Read about 5 Safe ways to introduce peanuts to your baby. Acidic food like citrus fruit, tomatoes, and berries cannot be served to babies. Not true. Some babies may develop a rash around their mouth – a type of skin irritation, but it is perfectly safe. The rash itself is not a sign of a food allergy, but just a skin reaction to the acid present in those foods. Vegetables are not safe for babies because of nitrates. Not completely true. It’s correct that certain types of vegetables, like beans, carrots, spinach, and squash, are higher in nitrates than others. Ans it’s also true that they should be avoided in babies under 3 months, who at the biggest risk of nitrate poisoning because they can not metabolize it yet. But, as we know, babies under 4 months are not ready for solids, anyway. Read more about the Signs of readiness for solids. Besides, according to the same report, the biggest source of nitrates is well water, not vegetables. So it is absolutely fine to feed your baby all sorts of vegetables if 1/your baby is older than 4 months and 2/ if you wash veggies well before preparing them. However, if you are using well water to make formula for your little one, make sure to check with your local health department to see if it’s nitrate levels are in check. 1. Choking hazard number 1 – hard round-shaped foods. This type of food can lodge in a baby’s throat very easily. Foods like popcorn, baby carrots, candy, hot dogs, whole grapes and whole nuts should be avoided. In facts, it is best to remove all small objects, edible or not, out of your baby’s reach. 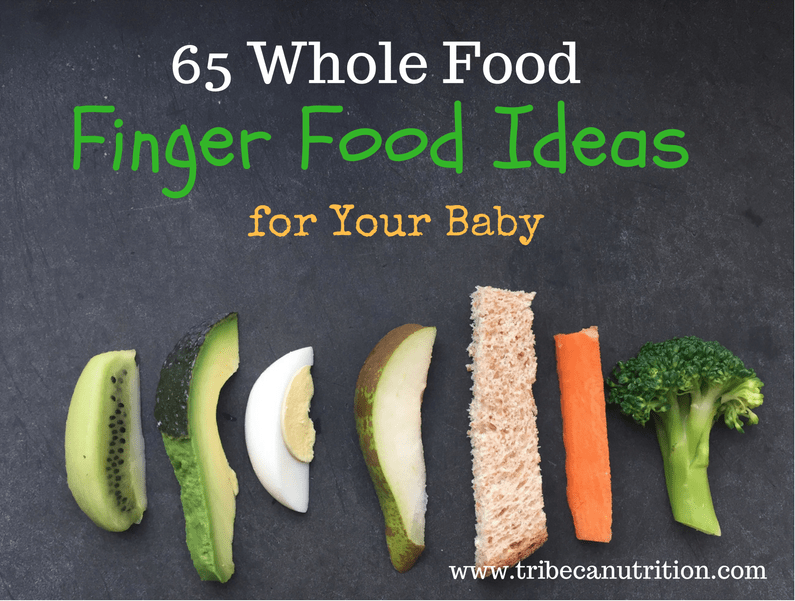 You will not believe the kind of things babies willingly put in their mouths! So it may be time to go on a scavenger hunt, removing all the objects that are smaller than 1 3/4 inch, or 4.45 cm, from the areas where your child plays, eats or sleeps. 10 Foods to avoid until your baby turns one. Plus common myths, busted. 2. Choking hazard number 2 – hard fruit and vegetables that babies with teeth can bite off, but cannot chew. Raw apples or raw carrot are good examples. In fact, a recent research study showed that the most common food BLW (Baby Led Weaning) babies were choking on was raw apples. My recommendation is either to cook hard fruit and vegetables to soften them or to grate them before serving to the baby. 3. Choking hazard number 3 – sticky foods like nut butter. Sticky foods like peanut and other types of nut butter should never be fed to babies off a spoon. Instead, either mix them into purees or cereals or spread them in a thin layer on a toast. 4. Cow’s milk as a main drink. Cow’s milk in big amounts is not a safe drink for babies because of its low iron content and high levels of protein and minerals, which can be too much work for your baby’s immature kidneys. It’s ok, however, to add a little milk to your baby’s cereal and serve cheese and yogurt from time to time. 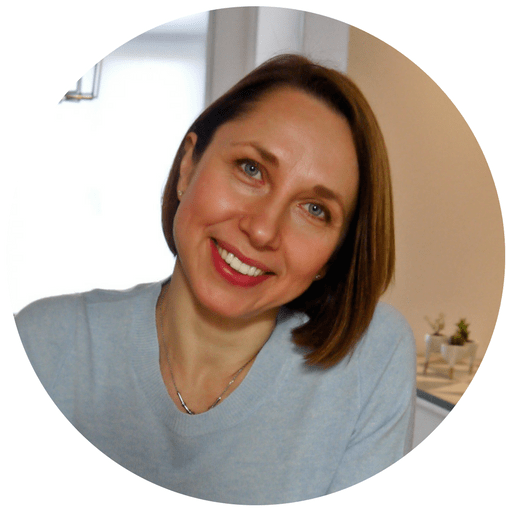 In my Starting Solids the Stress-Free Way online program I use milk, yogurt, and cheese in a few recipes and give plenty of examples of balanced meals and portion sizes for babies of different ages, so make sure you check it out if you need more detailed guidance. 5. Honey. Well, in this case, it’s pretty straightforward. No honey until your baby turns one. Not even in commercial foods like Honey Cheerios. Honey can harbor Clostridium botulinum, very dangerous bacteria that may cause a very serious condition called infant botulism. 6. Undercooked eggs. Ok, this one is slightly trickier. Undercooked eggs may be dangerous for babies because of the salmonella risk. However, in at least two countries you can buy a specific type of salmonella-free eggs (Safest Choice in the US and Red Lion Stamp in the UK). If you are from a different country and you know a similar brand sold locally, please let me know in the comments. Salmonella-free eggs have been either pasteurized in their shells or laid by chickens that have been vaccinated. So they are a great safe option for families because you can share some beautiful runny yolks dishes together and not worry about your baby’s safety. 7. Unpasteurized milk, cheeses, and deli meats. Cheeses made with raw unpasteurized milk and deli meats that have not been treated by high temperatures are not safe for babies because of the possible risk of listeriosis. Raw milk may contain E coli, salmonella, campylobacter and listeria. Enough said. 8. Fruit juice. This one may come as a surprise but, according to its fairly recent statement, the American Academy of Pediatrics does not recommend any fruit juice for babies under 1, due to its low nutritional value. And I could not agree more. The first year of life is a period of a very fast growth for babies. They need a lot of good nutrition, including fat, protein, iron and other micro and macro elements. Fruit juice can fill the little tummies fast but is pretty low in important nutrients. 9. Fish high in mercury. 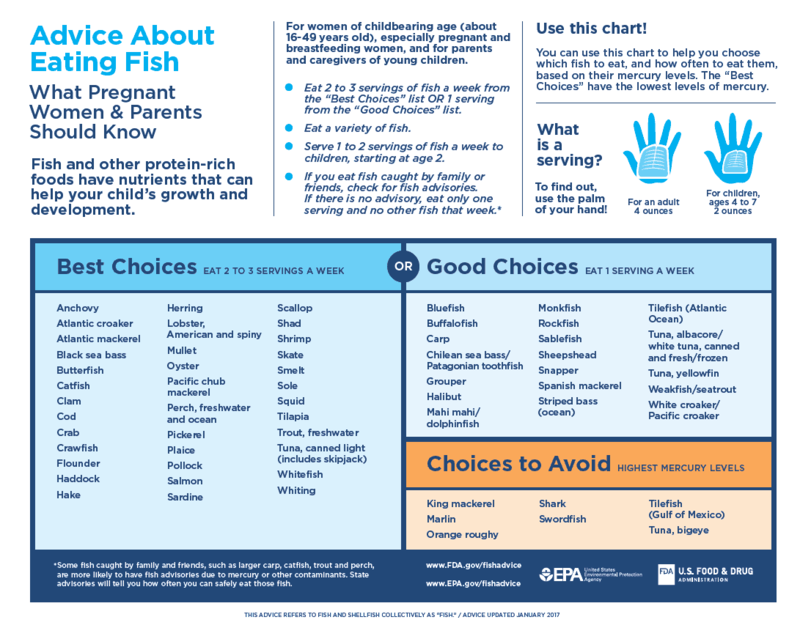 Fish is an important part of your baby’s diet because it contains Omega 3 fatty acids, instrumental for brain development. 10. Salt. A small amount of salt (under 1 gram a day) is safe for babies, but more than that can be too taxing for the kidneys. I recently wrote here about high sodium foods to avoid for babies and the best ways to interpret food labels. Need a detailed guide on starting solids, accompanied by meal plans, recipes, and demo videos? Join my popular Starting Solids the Stress-Free Way online program,starting at only $24.99 USD. Tell me, which myths about foods to avoid have you seen online?